It’s no surprise to hear that shopping has changed over the last 50 years. First, the development of the hypermarket, and at one time, Telford had the largest one in UK when Carrefour opened at what has now become Telford Shopping Centre. This brings us neatly on to the development of the retail park. Large car parks and large stores. Again, Telford probably has more than it’s fair share of these, too. Scroll on to the 2000s, and we see the advent of online shopping. What a change. With Amazon Prime, I can order even something quite obscure and have it in my hand tomorrow. What does all this mean? It means that we cannot expect the High Streets our parents hark back to will not be returning any time soon. What we can expect, is a rationalisation, a reboot, a right sizing of our local Market Towns. The future is more concentrated High Streets with more food & drink, things to do, not just to buy, and services. Yes, nail bars.Yes, hairdressers and yes tattooists. I predict a surge of tattoo removal shops too, but that’s another story. We are seeing these changes take place albeit haphazardly and painfully slowly, but what isn’t changing is the rents & rates to encourage entrepreneurs to take that chance on opening a small, niche store where you can get your TV repaired and buy a vintage radio. A store where you can drop in and try your hand at throwing a pot on a wheel and buy some art. A coffee shop where you can try some Java beans before committing to buy a kilo. I was at a meeting where the problem was laid out before me. Many shops were bought by out of town investors for their portfolio. Price paid would have taken into account the amount of rent they could charge. That rent was most likely set when times were good. Now, not so much. And here’s the kicker; if the landlord reduces the rent then the value of the property drops. This means that the value of the portfolio is reduced, and all of a sudden the company isn’t doing quite so well. In cases like these, sometimes companies with a large portfolio would rather sit on a few empty properties with an unobtainable rental figure, rather than reduce the rent and take the hit on the property value. Even if we can overcome this, there are lots of shops simply in the wrong place as the town centres contract. It’s going to take something drastic. A clean sheet approach in order to change our High Street’s for the better. Right now, I can imagine a smaller, more vibrant High Street. What I can’t see is how we get there. Do we ask local authorities to be ruthless in planning? Can we get businesses to move to more suitable locations? Can we force a better mix of business? Should we? Things like lounges with simple food like cakes, beans on toast, soups, sandwiches etc. Nothing overly complicated. Comfortable seating and board games. Get people talking to each other. I also saw a thrift shop in Sheffield which was very popular, a place to trade old wears and goods. It had a section with vinyls and a player to try them out on, which was pretty cool. I also think a cafe for the older generation to receive IT support in a friendly manner would also be helpful. Somewhere where they can sit down and chat, while someone helps them set up their new phone or laptop. 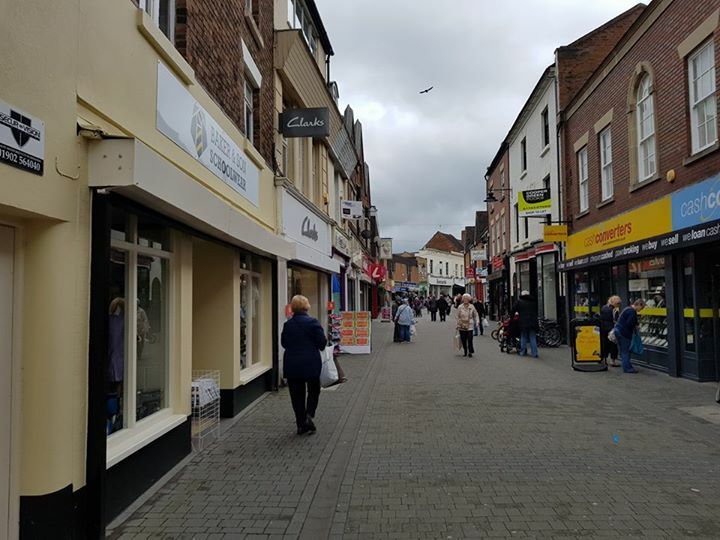 I think it`s fair to say the big stores have killed the high streets, However a new breed of high street has replaced it, Village square`s like lawley & Lightmoor will become more popular. However yes the big boys have killed the small boys, At one time it was unimaginable a shopping centre without a woolworths or a BHS… They all will die to online trading..one by one….everything will be cheaper online… Why are the high streets dying? because we killed them wanting cheaper products..
Milton keynes is a great example (which i will highlight in a future video) Planning is vital for creating community hubs. The high street hasn’t gone its just changed. These are very valid points, it is true that if rents are dropped then the value decreases, which also means lending that is based on revenue is also reduced! Something a landlord will want to avoid! However surely if properties become full, demand is higher, footfall increases value increases? I own a small independent about to open number 2, customer service is still top of the list to succeed, customers still like to see a product before purchasing! 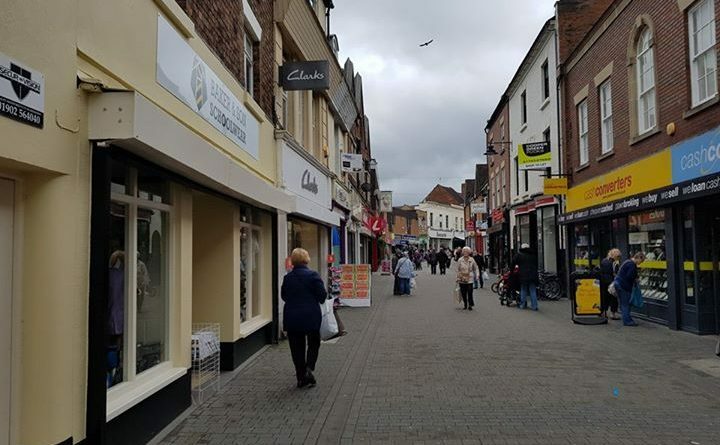 If business rates were reduced this would encourage me to expand further, rates are too high based on footfall the council should encourage small niche retailers by offering subsidised rates for a period of time to enable the business to establish and grow. Shopping trends have changed but there is still a market for unique independents if supported by the local council and government! We are managing to trade well and lucky enough to expand but it takes hard work and careful planning to make a living, give customers what they want and grow our business. Some great points raised well done Telford Live!!! 1) Wellington is generally made up of pubs , cafes & charity shops. On the days that the market is closed Wellington is a ghost town. As far as the charity shops is concerned they have priced themselves out of their own market. They are no longer selling items at reasonable prices. I.E. I could go to Primark and buy a £3 T shirt. 2) Some months ago a small kebab shop closed in Wellington and it was taken over by a Pork Roll outlet which within 2 months put the business up for sale. In the meantime Telford has invested over £20m in a new town centre in which it has been swamped with expensive food outlets so my question is who actually comes to Telford centre to use these facilities who can afford to. If a little Pork Roll shop can’t survive in Wellington then I think Telford has a big problem unfortunately I’m not a politician and I don’t have the solution I think it’s the job of our politicians to stay in touch with the real people and provide us with what we need. It’s up to the business owners to a large degree, local shops tend to open 9-5 during the week, reduced hours in a Saturday and remain closed on a Sunday. In the current climate that’s just ridiculous, and doesn’t make business sense at all. You can’t open when the vast majority of people are at work, and close when they’re not and still expect to maintain a thriving business. Why not open 2-10 a couple of days a week, close on a Monday and be open on a Sunday?